Have you ever met a soft and furry chinchilla up close? Or stroked a baby silver fox? 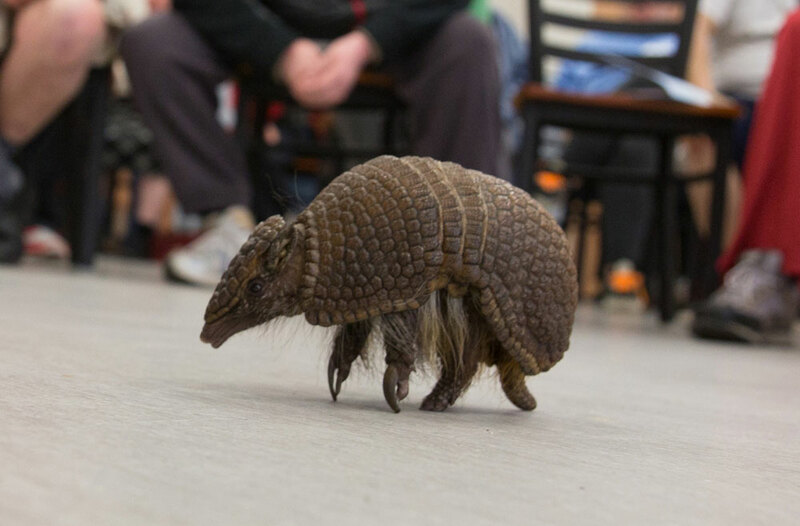 Or witnessed an armadillo scramble across the floor? 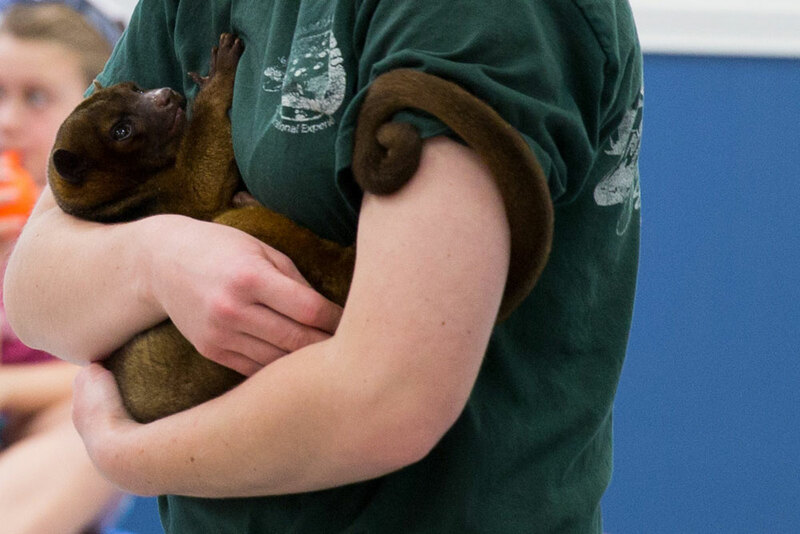 These are just a few of the many adorable and exotic animals that audience members encountered at Advocates Fun, Friends, & Family event with Animal Adventures this past Saturday. 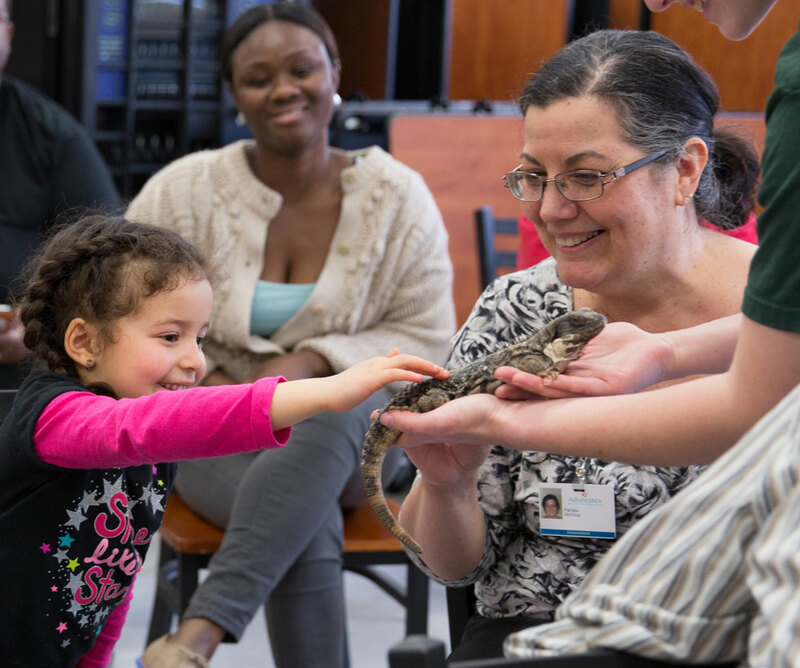 Over 70 guests showed up at Advocates Life Skills & Learning Center in Ashland for a special opportunity to learn about and interact with all kinds of interesting creatures. 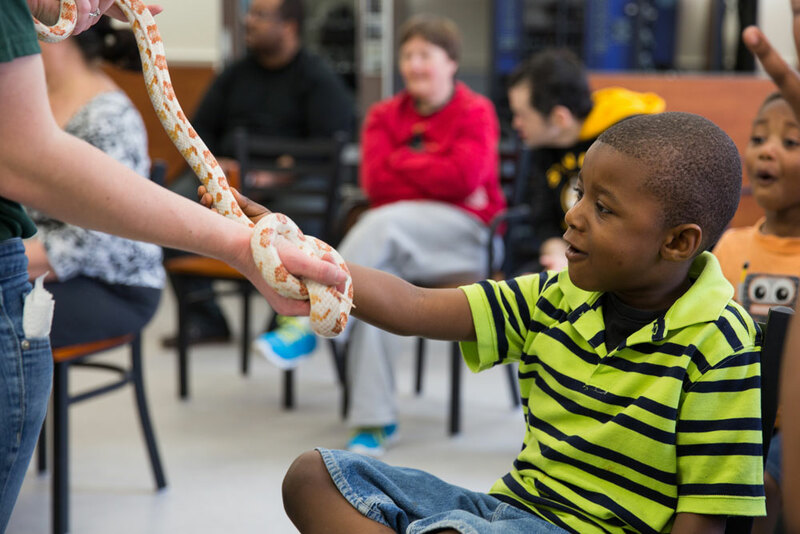 The Animal Adventures experience at Advocates was made possible by a grant from the Noah’s Ark Foundation, a nonprofit dedicated to funding programs, supplies, and life-enriching opportunities for adults living with significant disabilities. Thanks to the grant, the event was free for all participants. The Noah’s Ark Foundation is run by the Zack family whose two adult children, Noah and Perry, live in a residential program at Advocates. The Zack family was on hand to enjoy the many animals, especially the cute chinchilla! We are grateful to them for generously sharing this experience with so many others in the Advocates community. 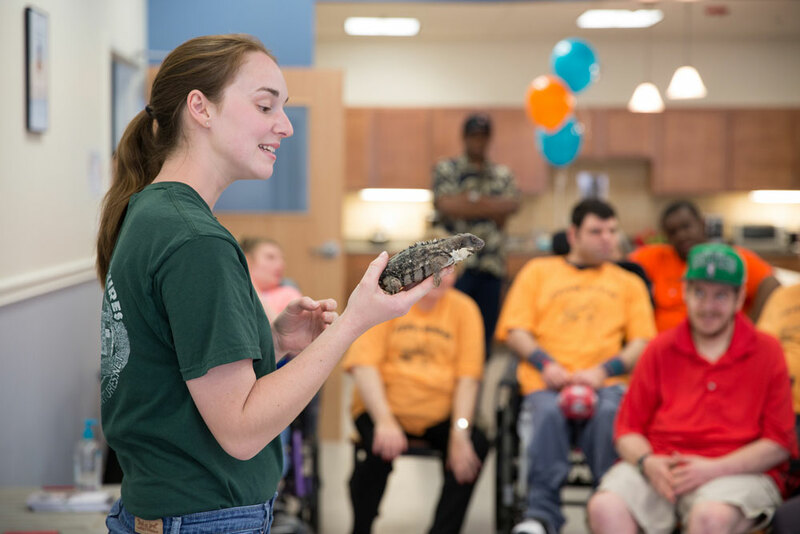 Advocates Fun, Friends, & Family events are open to individuals with disabilities who are 16 and older, staff who support them, their family members and friends. We welcome members of the Advocates community as well as those interested in learning more about us. Check our calendar for upcoming events.